What Does Your Dog’s Behavior Say About You? If you own a calm dog, you are viewed as authoritative and are able to maintain control over a situation even in the face of chaos. Owners of calm dogs make time for mellow activities such as baths, yoga, and meditation. They tend to be organized and very thorough in all that they do. Calm dog owners love to focus on what they are doing before moving on to the next activity. Hyper dog owners have a hard time sitting still and are always doing something. They appear stressed and anxious and experience difficulty concentrating on one thing at a time, often starting projects and moving onto the next before finishing them. If you own a hyper dog, it’s likely that you fear missing out and are always looking for the next best thing. People who own lazy dogs enjoy spending their free time relaxing. They are often seen lounging around a pool or spending an afternoon reading. Owners of lazy dogs enjoy coming home from work and winding down with a nice glass of wine, flopping on the couch, and tuning in to their favorite television shows. 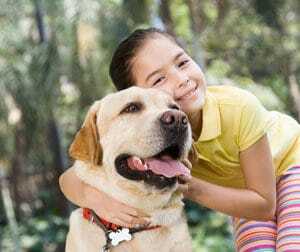 Owning an energetic dog suggests that you are very active and on the go—always bouncing from one activity to the next and constantly jugging a schedule chock full of social activities. People who own energetic dogs prefer an after-work happy hour or dinner with a friend to spending time at home. As they are always on the move, they tend to get less sleep than lazy dog owners. If your dog is quiet, you enjoy spending time with a close group of friends over heading out to a noisy bar. Quiet dog owners tend to be more introverted and prefer meaningful conversations to gossip and small talk. They like soft music such as classical, folk, and singer/songwriters. Owners of noisy dogs love to party and hit the town. They are social butterflies and extroverts that love to be the center of attention. Noisy dog owners are viewed as the type to crank up their car stereos while driving or dance it up in the front row of a rock concert. Owners of obsessive dogs tend to become fixated on small things and are considered to be worrywarts. They don’t trust strangers easily and tend to focus on negatives versus the positives in every situation that they encounter. An obsessive person likes to be in control and enjoys a safe and preplanned vacation such as a cruise. Easygoing dog owners, on the other hand, don’t sweat the small stuff. They live in the moment, take life as it comes along, and worry only about what they can control. Their ideal vacation would be trekking through the Himalayas or an unpredictable adventure like an African safari. If you own a dog that is affectionate, it suggests that you are lovable and kind hearted. People who select affectionate dogs enjoy cuddling and spending time with the ones they love. Affectionate dog owners tend to be more easily trusting than owners of dogs who are more aloof. Owners of aloof dogs make great companions but take a while to warm up to strangers. They tend to be less trusting out of the gate and take some time to win over. They can be viewed as standoffish from someone that hasn’t had the chance to get to know them. People that own friendly dogs are seen as hospitable, helpful, and welcoming to strangers. Friendly dogs are well socialized so people that own them love going out with friends and enjoying adding new acquaintances to their lives. Their idea of a weekend activity is going to a party or a bar full of people to mingle with. Aggressive dogs tend to prefer spending time alone versus being in a group. 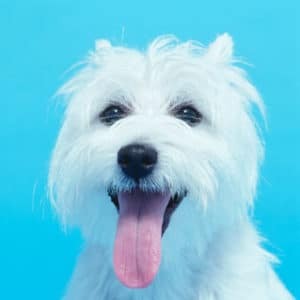 Their owners like to keep to themselves and are seen as antisocial and short tempered. They like to spend their free time with a few select friends that love them enough to tolerate their crankiness. Have other people ever made assumptions about you based on your dog’s behavior or have you done that to others? 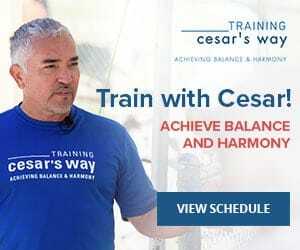 Cesar would advise people to choose a dog that mimics their behavior and energy levels instead of expecting a dog to mimic theirs. 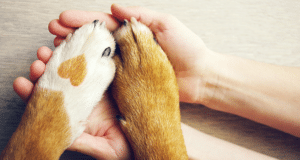 So, what does your dog behavior say about you? Please do tell in the comments.